Did Bill O'Reilly make up war stories? Did Bill O'Reilly claim that he reported inside a war zone during the 1982 Falklands conflict between Britain and Argentina? That's the central question raised by Mother Jones in a report published Thursday, and the answer appears to be both yes and no. The Fox News host insists he never said he was in the Falkland Islands during the conflict. As a reporter for CBS News at the time, O'Reilly and his colleagues were based in Buenos Aires, far from the war zone in and around the islands. Some of O'Reilly's accounts stem from a protest that occurred in Buenos Aires at the time, though that wouldn't qualify as a war zone. As longtime CBS News correspondent Bob Schieffer told Mother Jones, "Nobody from CBS got to the Falklands... For us, you were a thousand miles from where the fighting was." 2001: O'Reilly wrote in his book, "The No Spin Zone: Confrontations With the Powerful and Famous in America," that his time covering war made him ready for anything. "You know that I am not easily shocked," he wrote. "I've reported on the ground in active war zones from El Salvador to the Falkland Islands, and in chaotic situations like the collapse of the Berlin Wall and the Rodney King riots in Los Angeles." 2004: In his syndicated column, O'Reilly recalled how he had "survived a combat situation in Argentina during the Falklands War." He was presumably referring to a protest he covered in Buenos Aires, but his reference to a "combat situation" could reasonably be interpreted as a "war zone." 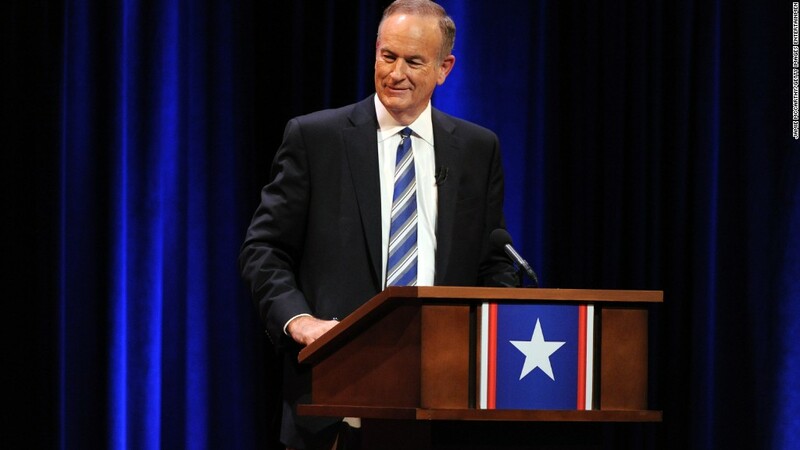 2008: Seven years ago on the "O'Reilly Factor," the host invoked his experience "in the war zones" to taunt Bill Moyers, the veteran journalist with whom he's feuded for years. "By the way, I missed Moyers in the war zones of the Falkland conflict in Argentina, the Middle East and Northern Ireland," O'Reilly said. "I looked for Bill, but I didn't see him." 2013: During an interview on his Fox News show, O'Reilly once again described the protest but said it took place "in a war zone in Argentina, in the Falklands." "Because I was in a situation one time, in a war zone in Argentina, in the Falklands, where my photographer got run down and then hit his head and was bleeding from the ear on the concrete," O'Reilly told his guest. 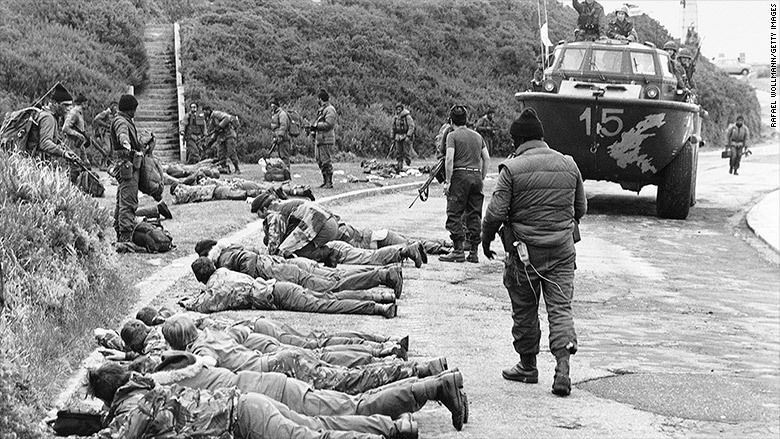 The Falklands War 1982: Very few journalists made it inside the war zone to cover the conflict. Some of O'Reilly's statements seem much less questionable. 2009: During an on-air segment with Bernard Goldberg, himself a former CBS News journalist, O'Reilly said that the network "sent me to El Salvador and to cover the Falkland Islands war in Argentina. 2011: After reading an email from a viewer who was honeymooning down in Argentina, O'Reilly noted his history with the region. "Tell everybody down there I covered the Falklands War," he told the viewer. "They'll remember." 2012: O'Reilly read an email from a viewer based in the Falkland Islands and said he had "a little soft spot" for the region, given that he "covered the Falklands War." 2015: After Mother Jones dogged him all day Thursday for a response, O'Reilly casually -- and carefully -- invoked his assignment in Argentina. "When I was at the network news, when there was a conflict, a war, any kind of really violent crime spree, whatever, they're all over it," O'Reilly told Goldberg. "I mean, even minor wars, like the Falklands War -- you know, I was down there in Argentina and Uruguay. The Salvadoran War, I was there. When Grenada hit, there was big coverage of Grenada. All of that." A little later in the segment, perhaps anticipating the Mother Jones report, O'Reilly clarified his earlier comments. "I didn't go to Grenada. I want to make that clear to everybody," O'Reilly said, while laughing. "I don't want to get in trouble. But I was in Salvador and Argentina."